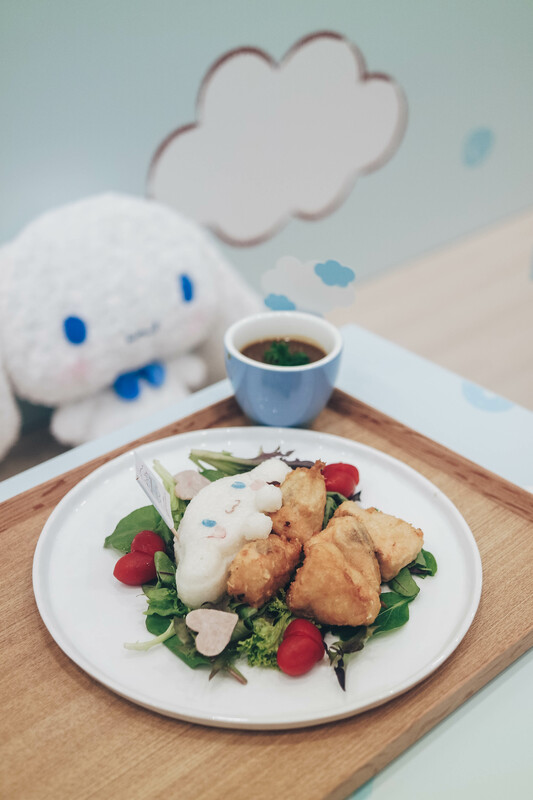 Cinnamoroll fans will be thrilled to know that there will be a Cinnamoroll theme pop-up together with Kumoya cafe in Singapore from 17th May 2017 till 13th August 2017 to celebrate Cinnamoroll’s 15th anniversary. 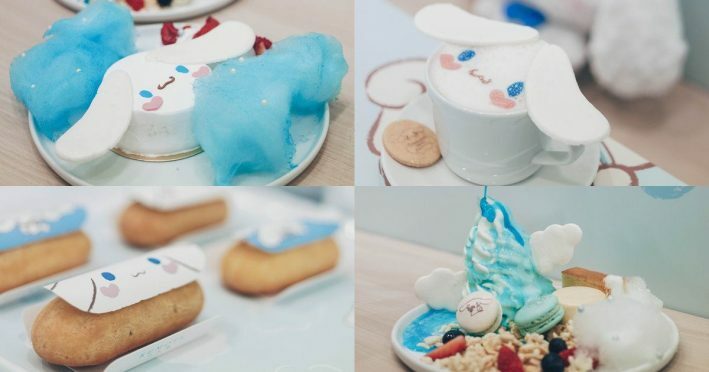 Not only does the character-themed cafe serve cute and delicious dishes, the cafe is also Halal-certified! Muslim fans will surely be delighted! If you are looking for an Insta-worthy drink, make sure to order their Cutie Cutie Special Cinnamoroll Blue Soda! 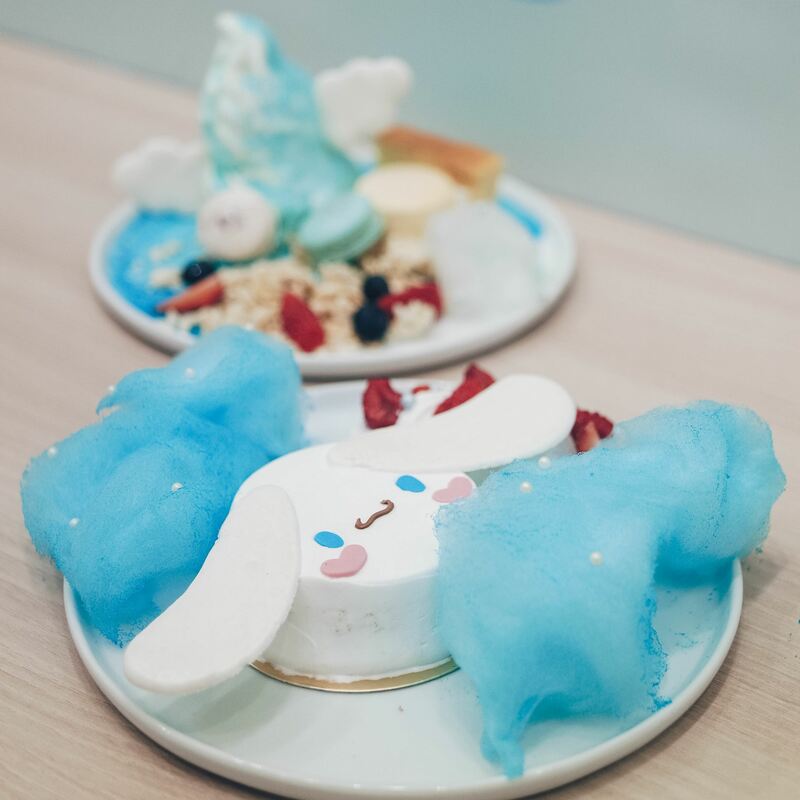 The soda drink consist of blue syrup, nata de coco, lemon wedge and topped it off with super fluffy cotton candy Cinnamoroll! Make sure to quickly snap a shot before the cotton candy melts down! 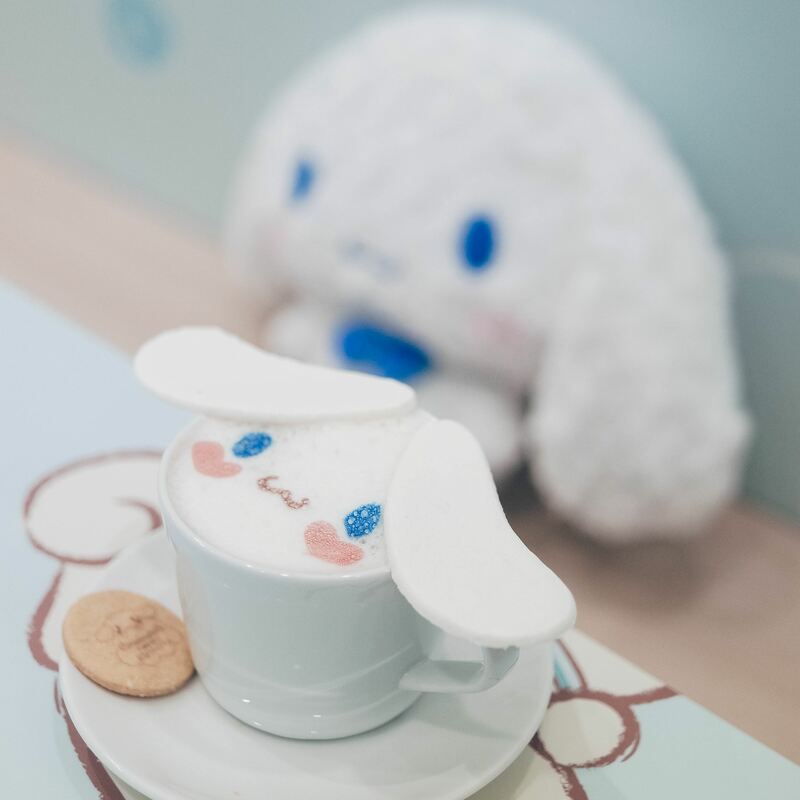 Classic latte with a twist of Cinnamoroll served with a piece of butter cookie! So cute right? Coffee addicts will also be pleased that it was brewed with UCC Japanese coffee beans resulting in super mild and smooth latte. 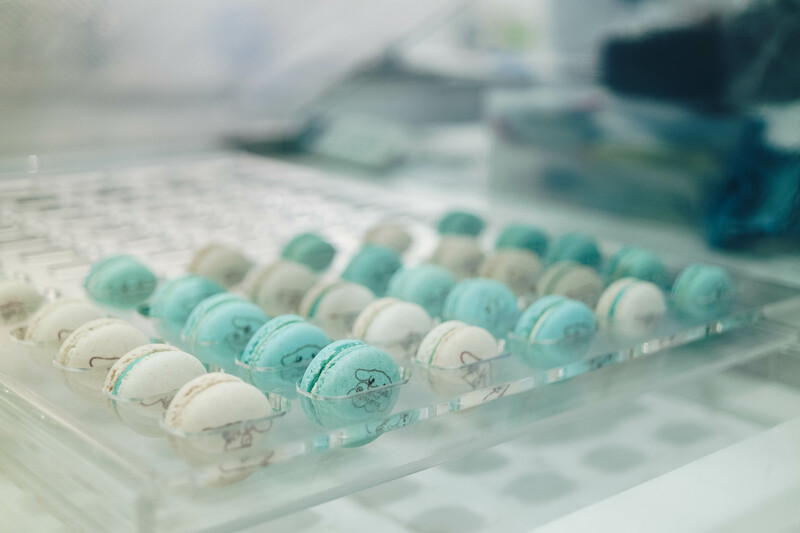 So make sure to order their Kiss Me Sweet Cafe Latte because it is super sweet and cute! For something filling, I highly suggest you guys try out their Fluffy Dreams Japanese Curry Rice. 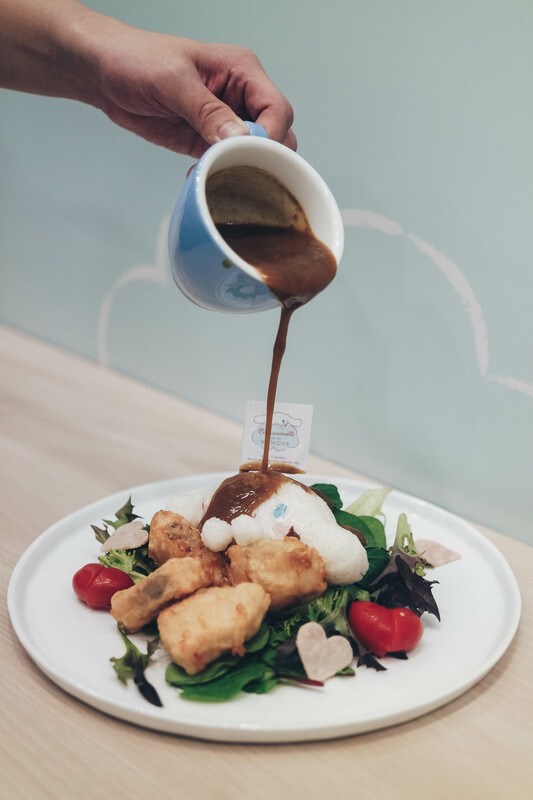 The fluffy rice was served with mixed salad, tempura salmon bites, and Japanese curry. I love the fact that the owner was not skimpy on the amount of salmon as there was a decent number of it. 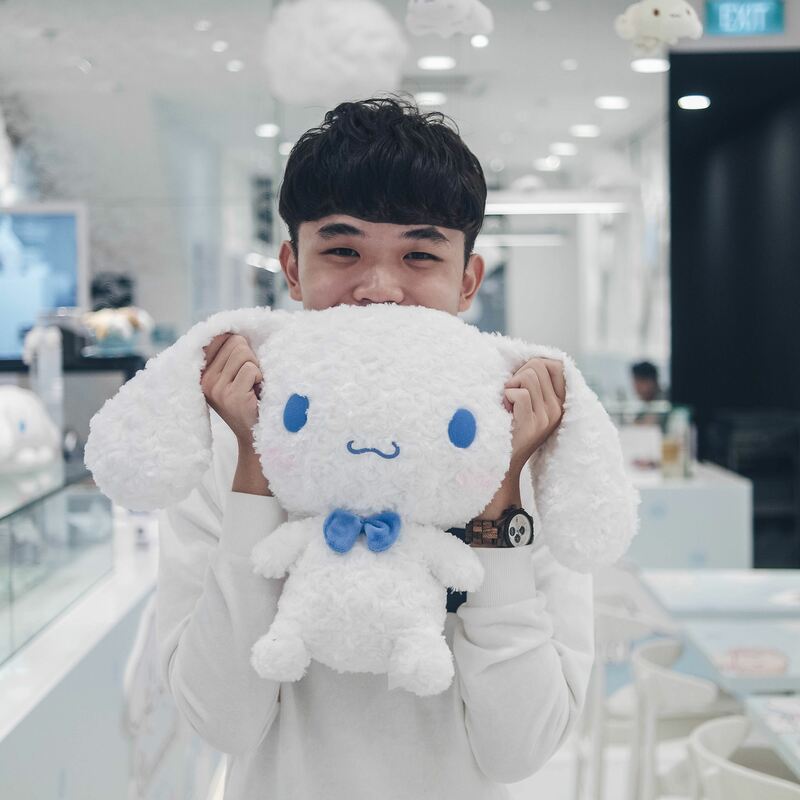 Cinnamoroll plush toys are all around the corner of the cafe. So fluffy and so cute! 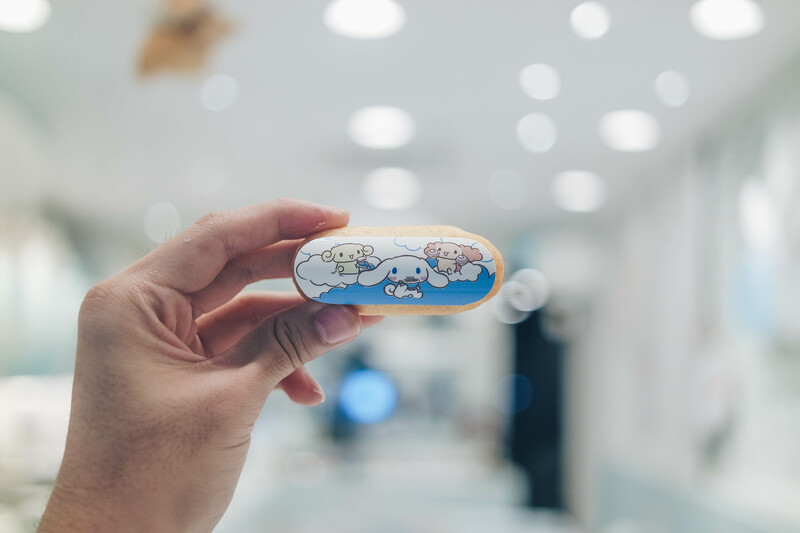 Do you know, Cinnamoroll is a dog, not a bunny? 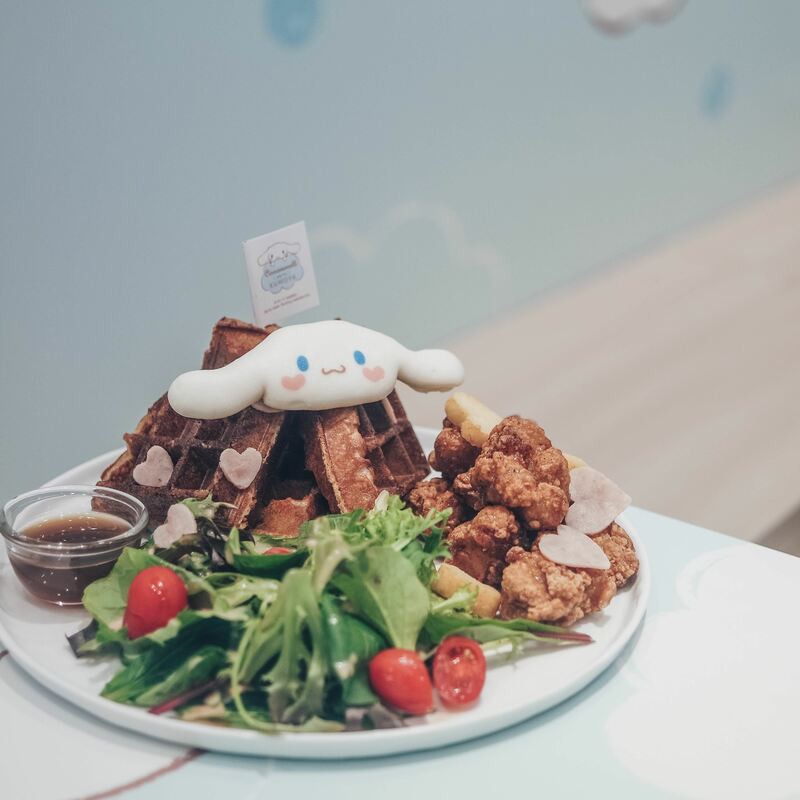 Let Cinnamoroll be drenched in thick flavorful Japanese curry, please! 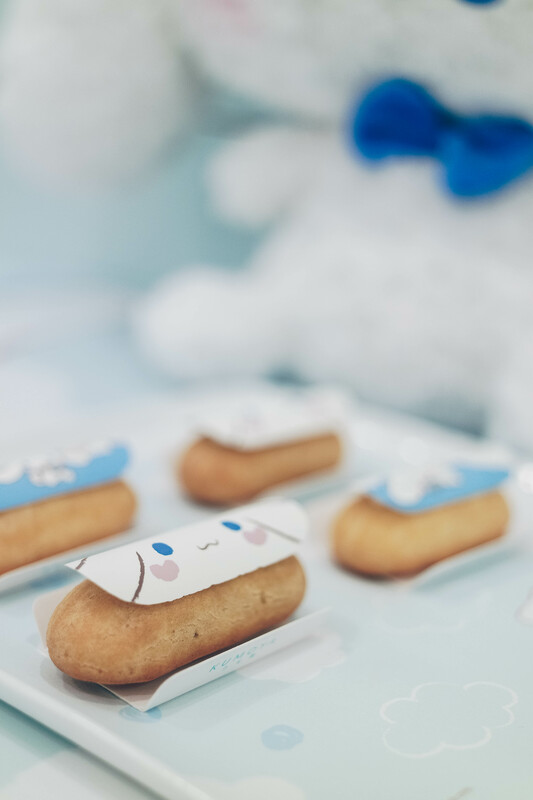 Make sure to get their limited-edition Cinnamoroll Eclairs! What’s so special about these Eclairs are that they are topped with chocolate print instead of paper. Yes, those ain’t paper but white chocolates that are edible! 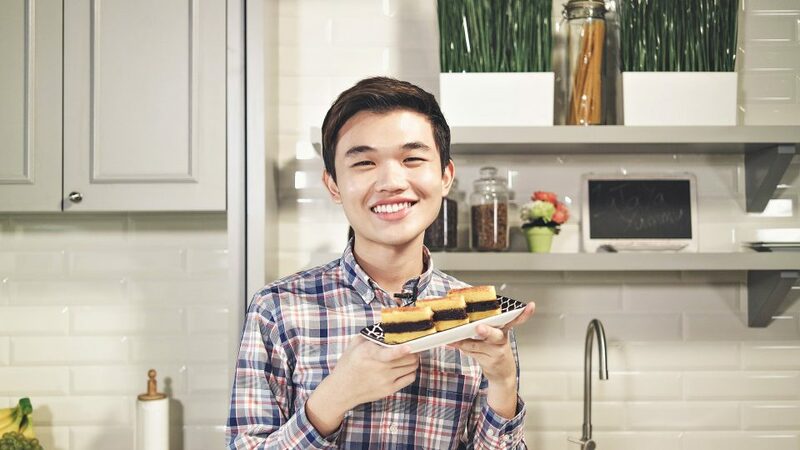 The Eclairs are either filled with chocolate custard or vanilla custard. They are refreshing and not too sweet for me. 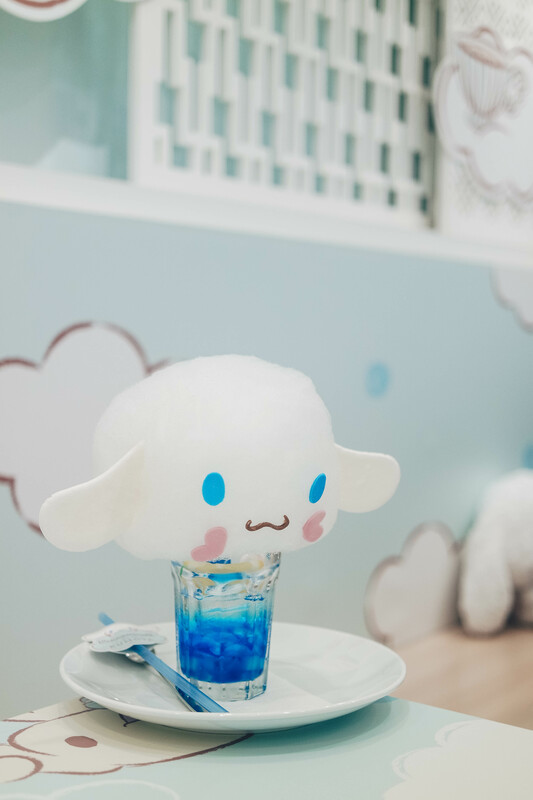 If you something refreshing and creamy, make sure to order their Cinnamoroll Berries Fantasy Parfait! 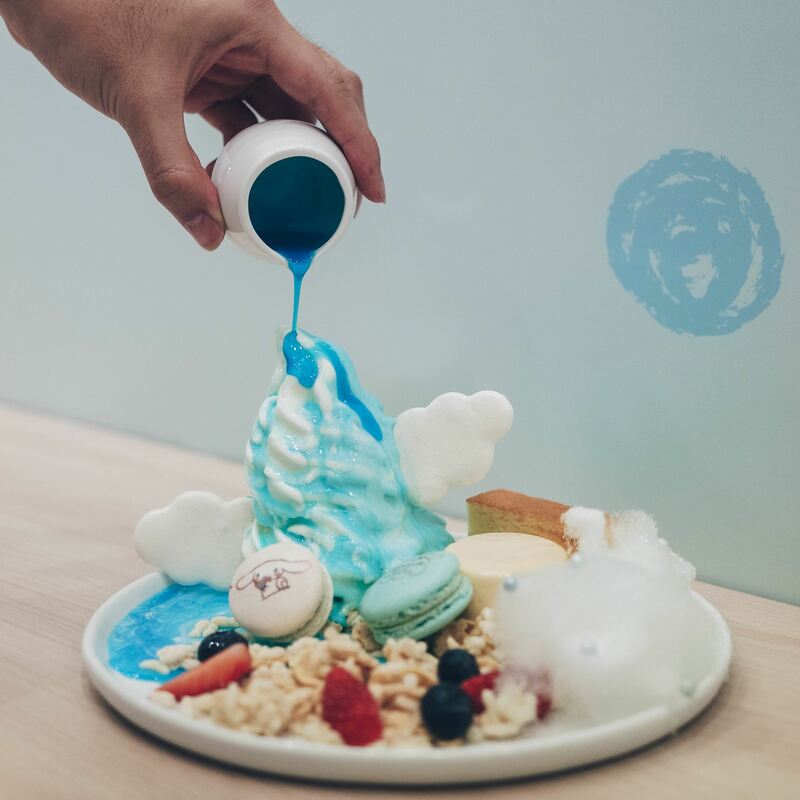 Delicious soft serve paired with Blue Lagoon syrup, Japanese cheesecake, custard, limited-edition macarons and Kumoya’s parfait. I love Kumoya’s parfait! 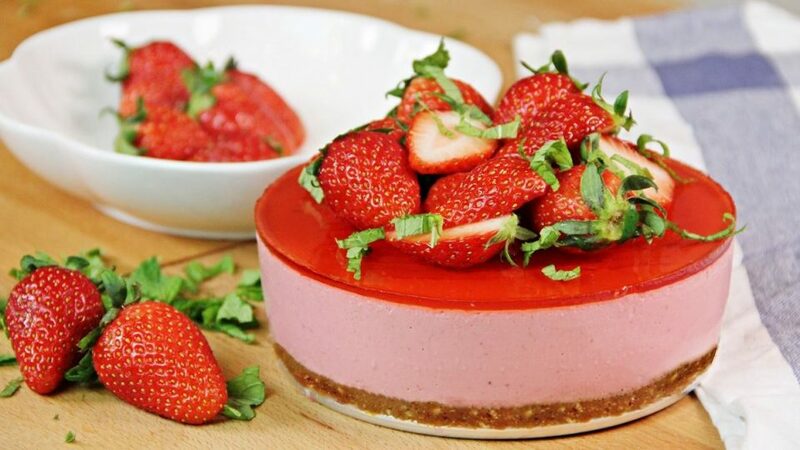 They make the perfect parfait and I certainly enjoy it very much with the soft serve. Please make sure to order this as you will sure be delighted! I find more and more cafe serving Yuzu infused Chiffon Cake. Kumoya is no expectation. 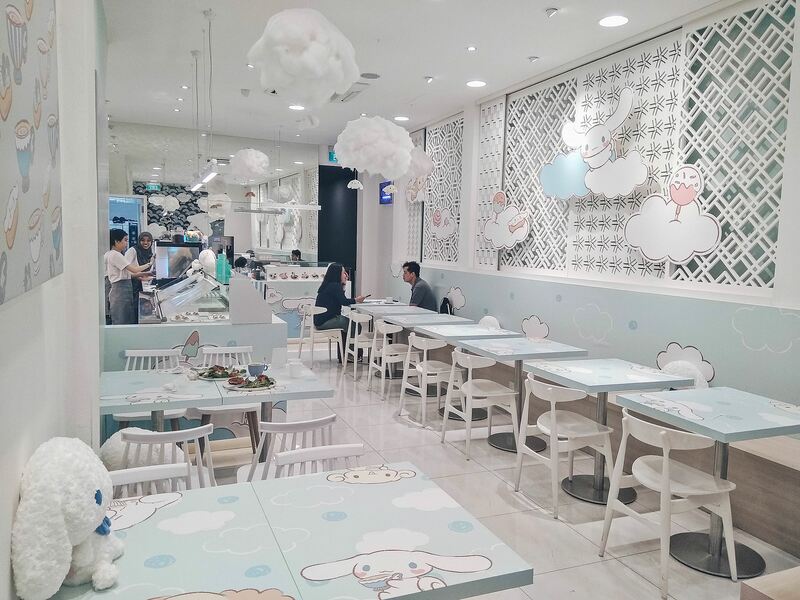 Make sure to check out their Cinnamoroll Fly-in-the Clouds Yuzu Chiffon Cake! 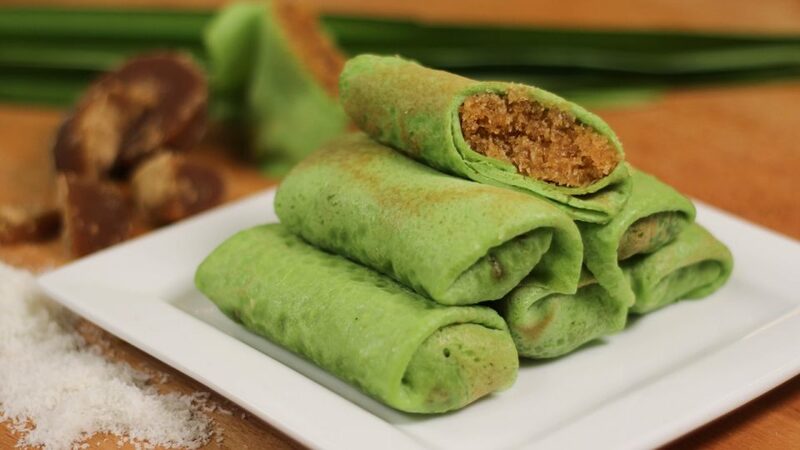 Super adorable, and surprisingly good. Though I feel that the sponge cake can be softer, I like that it wasn’t overly sweet and the Yuzu flavor was distant. Personally, I feel that the food they served here was yummy. It definitely exceeded my expectation as most themed cafe dishes are just adorable but not tasty. 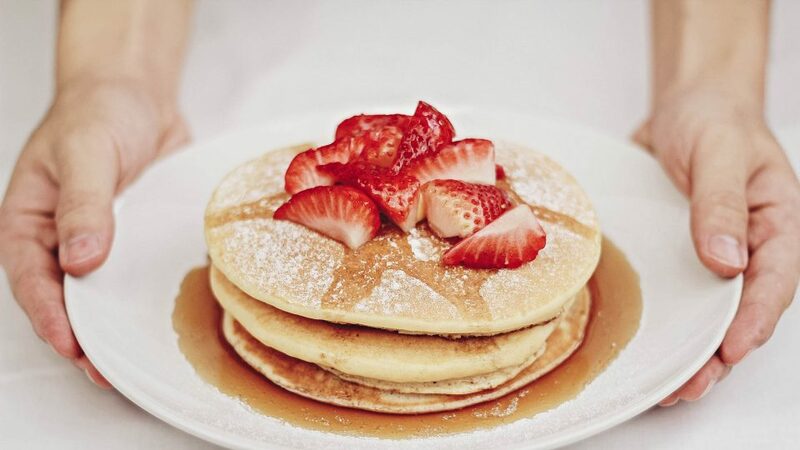 You must give it a try as the character-themed cafe will only last for 3 months before it disappears! 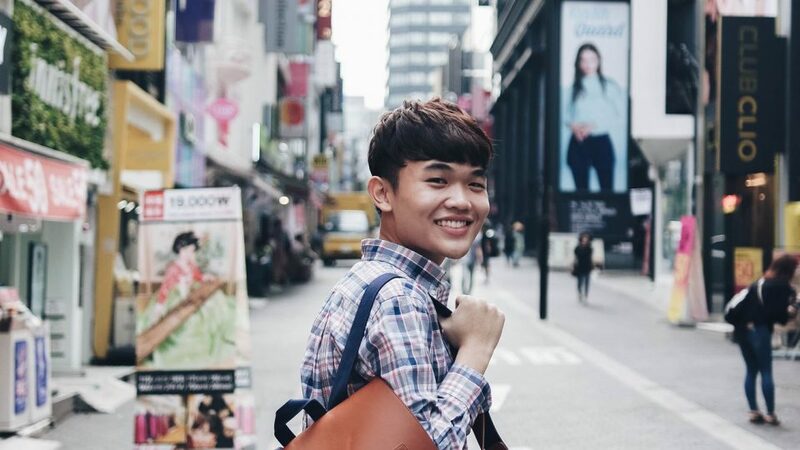 This entry was posted in Blog and tagged cinnamoroll, halal, kumoya, kumoya cafe, pop up, popup, review, Singapore, theme on May 22, 2017 by Zong Han Chua.